Attendees at a seminar in Phnom Penh last week ahead of the March 31 closing of the annual tax return filing period have been told to comply with Cambodia’s tax law or face steep fines when caught. 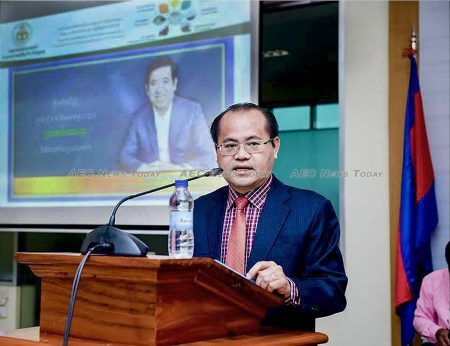 The stark message was delivered by deputy director general of Cambodia’s General Department of Taxation (GDT), Heng Soknang, at the National Tax School where accountants, bookkeepers, and those responsible for completing annual tax returns for mall or medium-sized enterprises (SMEs) had gathered to learn of the most recent changes to Cambodia’s tax law. In a blunt keynote speech Mr Heng said “if you comply, there is no fine”, however, for those who don’t, high penalties await those found to be cheating, he said. According to Mr Heng Cambodia has been listed as one of the five most successful countries for tax reform by the International Monetary Fund (IMF), “which is a matter of pride for the country”. For the past six years the GDT has surpassed its annual target, last year exceeding it by 13 per cent. While much of this is due to company and business owners complying with the new tax changes, Mr Heng said fines and penalties were also a contributing factor. Noting that changes over the past several years had seen the GDT widen its tax base, Mr Heng said medium-sized taxpayers are contributing an increasingly significant amount to the revenue collected. Urging those present to exercise extreme diligence when completing annual returns, Mr Heng said care should be take to ensure the enterprise or tax payer pays the correct amount of tax — not any more — so that they do not face harsh penalties when audited. “Some may say that a tax audit is a disturbance, it is a comment that does not understand tax regulations and the role tax revenue has in developing and maintaining society. Paying tax is investing in yourself and the prosperity of your country”, he said. Noting that suppliers and purchasers in country’s such as Australia, Canada, and the EU are increasingly focusing on good governance, he said there was an increasing trend globally to not do business with those who don’t pay their taxes and contribute to society. Once a country where tax payments were “negotiated” with the local tax officials, 2017 saw the formal introduction of what is termed locally as the “formal regime”, with the GDT dramatically expanding its tax collection base. An amnesty in 2017 enabled business and company owners to refile up to the previous five years of returns and make any payments that may have been omitted in the past without penalty. 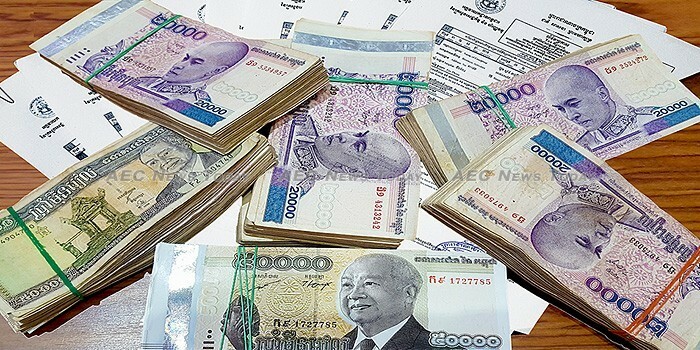 Since then the GDT has been aggressively enforcing Cambodia’s tax law, with large and small enterprises being subjected to audits, with more than a few receiving fines and penalties of more than $1 million. In fact tax audits are becoming so common that the GDT yesterday released a mobile app, GDT Audit Check, that enables tax payers to authenticate paperwork they receive purporting to be official tax audit documents. According to Cambodia tax law if an audit results in reassessment of tax, the tax payment(s) will be declared late, as it was not paid when due. Late payment of tax incurs a penalty of between 10 per cent and 40 per cent of the tax amount, plus 2 per cent interest per month on the underpaid amount, and/or a late filing penalty of Rl2 million (about US$500) per return. 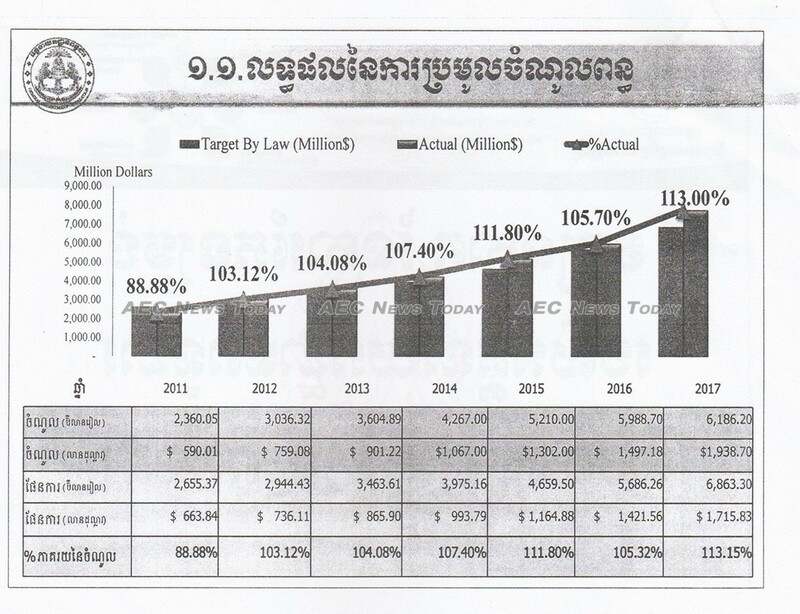 Ronald C. Almera, CEO & Partner of Grant Thornton (Cambodia) Limited, told AEC News Today by eMail that his firm is “seeing a rise in tax audits being conducted by GDT for registered taxpayers in Cambodia”. While very few tax avoidance/ reassessment matters are publicly reported, the almost 24-year-old English-language newspaper The Cambodia Daily closed last year after receiving a $6.3 million tax bill for matters dating back ten years, while more recently AEC News Today Disclosed that The Phnom Penh Post was also facing a cash crunch and uncertain future after receiving a tax bill of some $3.7 million for matters allegedly dating back seven years.